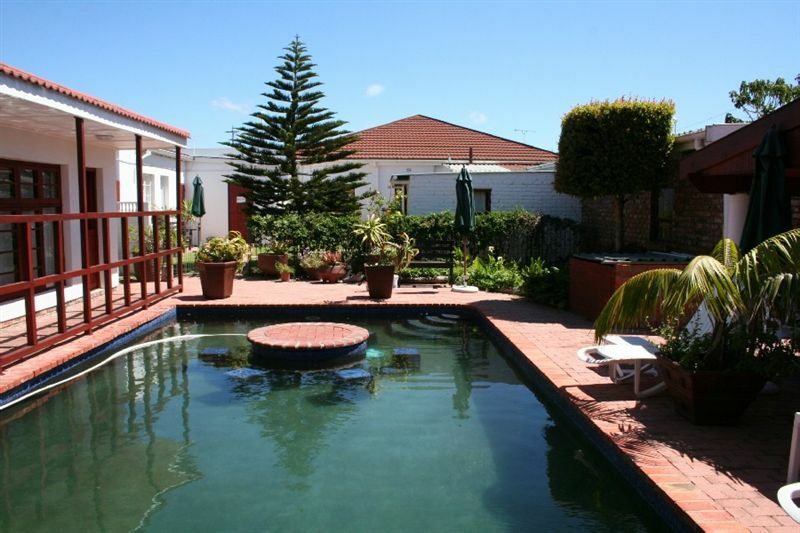 5 Third Avenue Guesthouse is located in the garden suburb of Walmer, located in the same street as the Port Elizabeth Airport. 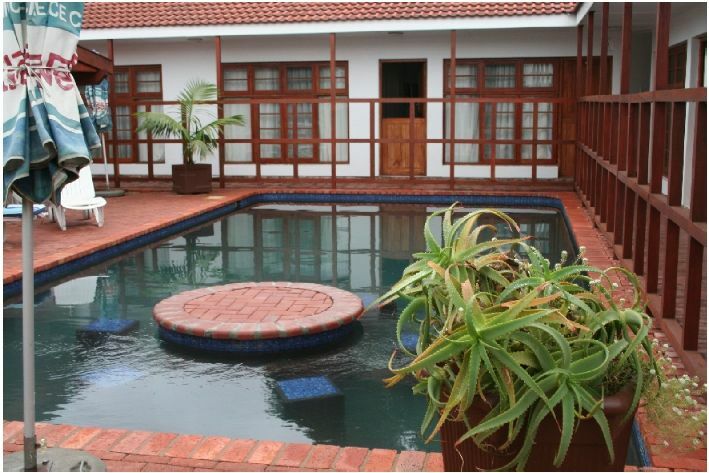 We are a B&B and Self-Catering establishment. 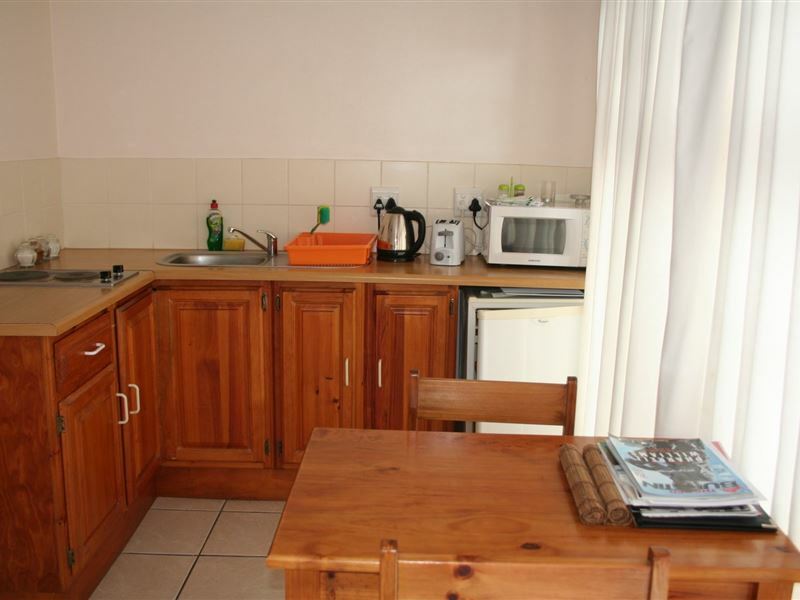 Our rooms have a kitchenette, equipped with fitted two plate hob, bar fridge, kettle, toaster, crockery, cutlery and glassware. PLEASE NOTE - we do not allow the cooking of spicy foods (ie. 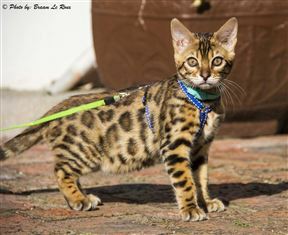 curry, stews, etc) due to the strong aroma which stays in the rooms and curtains. We provide Ricoffy Coffee, Tea, Sugar, Powder Milk, Face Cloth and Towels. Please bring your own Shampoo and BEACH towels. 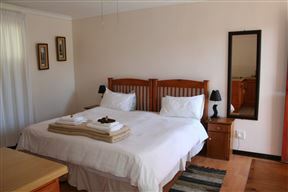 All rooms have shower ensuite only (no bath tub). We also provide Shower Gel and Liquid Handsoap.Some rooms have two single beds which can be joined to give you a king size bed, other rooms have a queen size bed.Our overnight room is a smaller room with a double size bed. 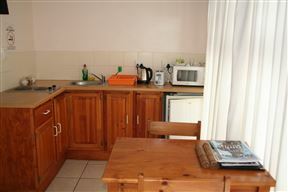 We also have a non-selfcatering room which does not have a kitchen or cooking facilities. 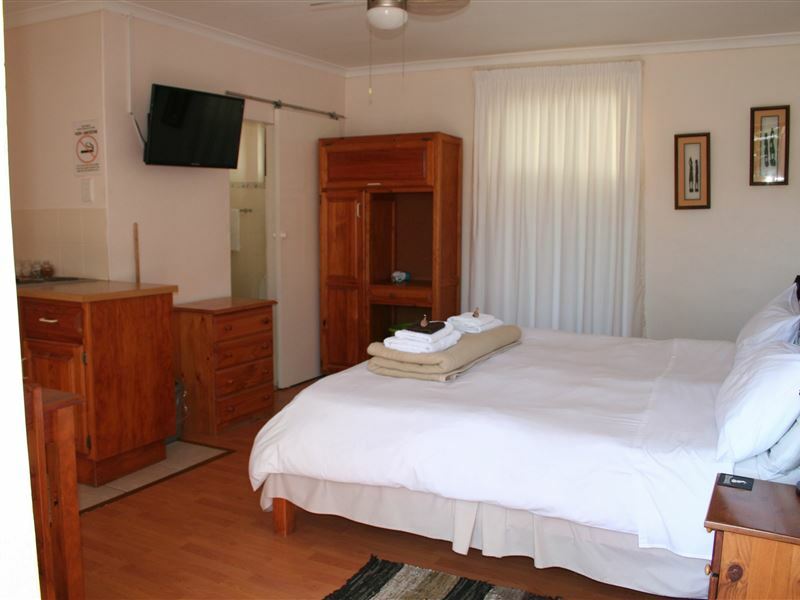 This room is in the front section of our property and not around the pool where the other rooms are.Our rooms are serviced daily except on Sundays and Public Holidays. We have a lovely pool and braai area. 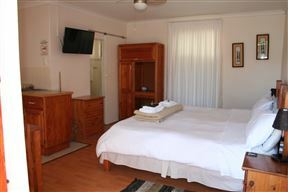 LED / LCD TVs in all room with Mnet and selected DSTV channels (Guesthouse bouquet). 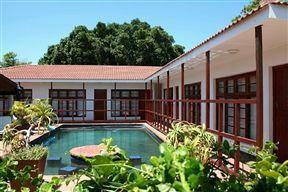 Please do not hesitate to contact us should you require any further information.PLEASE NOTE - our Guesthouse is a private property and Right of Admission is reserved. We do not allow visitors. All facilities and amenities are for the sole use of our resident guests only.Children 10 years of age and older are welcome, but will be charged adult rate. Unfortunately we cannot cater for children younger than 10 years of age. We are not wheelchair friendly. 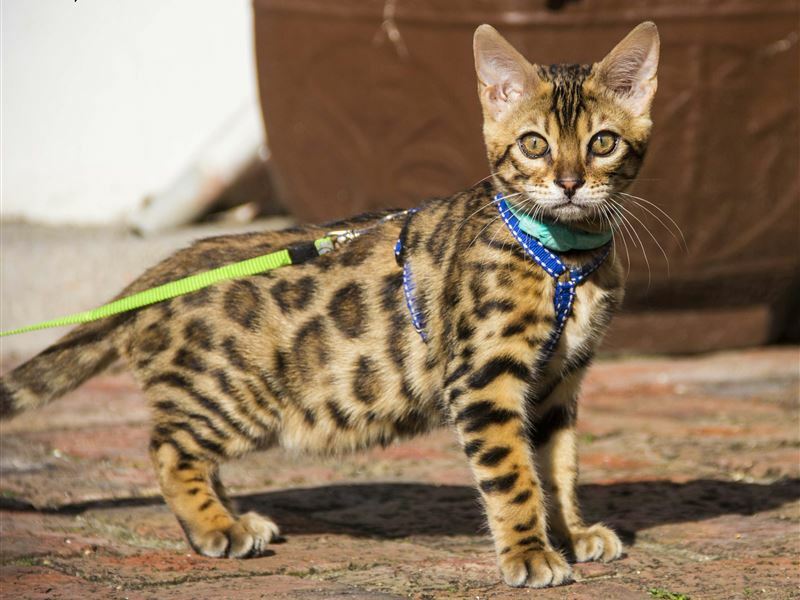 We do not allow pets.All rooms are strictly non-smoking, our designated smoking area is the braai area.We do have House Rules, a copy of which can be e-mailed or faxed to you on request.Free Wi-Fi is available in designated areas. Downloading of torrents, movie or music files is not allowed. 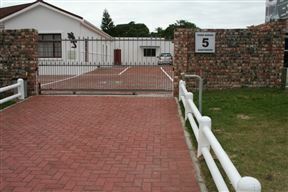 Connection will be blocked if abused.Check-in time is from 15h00. 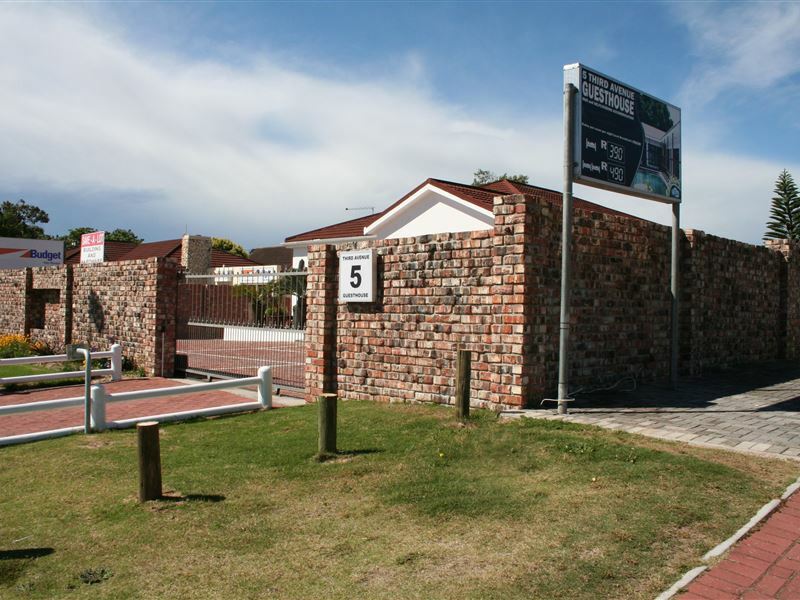 Prior arrangements must be made if you want to check in later than 21h00 as our reception closes at 21h00.Check-out time is strictly by 10h00.We provide one parking bay per room only. Please advise if your vehicle is larger than the average sedan car in order for us to confirm whether we can entertain / have space for your vehicle. This applies to trailers as well.The price for breakfast is not included in my rate - it will be an additional fee per person. Please enquire about this fee.Airport transfers only between 8am & 8pm. 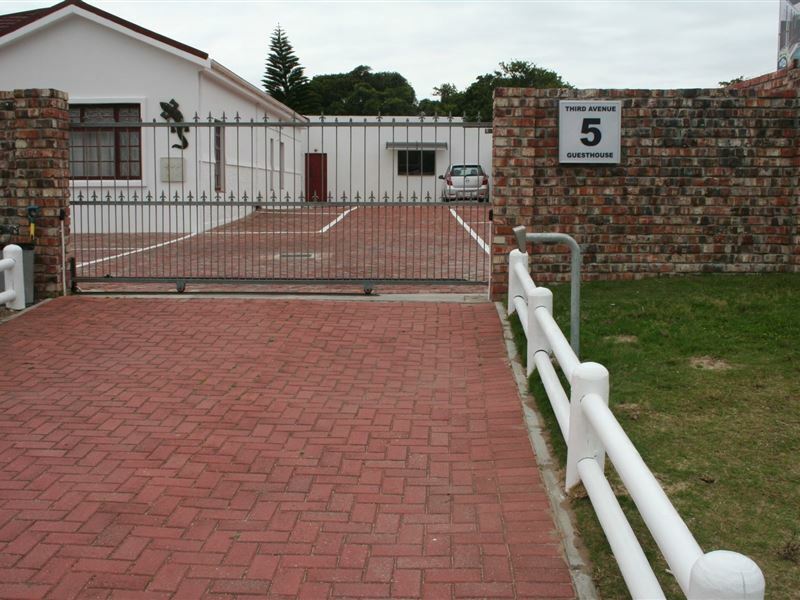 On site parking behind a motorized gate.Rate differs in December/January holiday period. Poolside room has two single beds, but we do have mattress joiners to make it a king-size bed. Poolside room with two single beds Joined to have a King Size Bed. This is a smaller room by the pool. It has a double-size bed. This room has a queen-size bed. it has to be one of the best places I have ever been too on the south coast. it had everything we needed! we are definitely going back to 7 Kuta Beach. Thanks Nomusa! you were very accommodating! 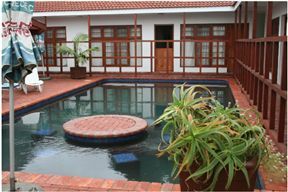 it was a very nice place to be and everything that a person needs for self catering was there. It was very cold and raining and they supplied us with a heater. 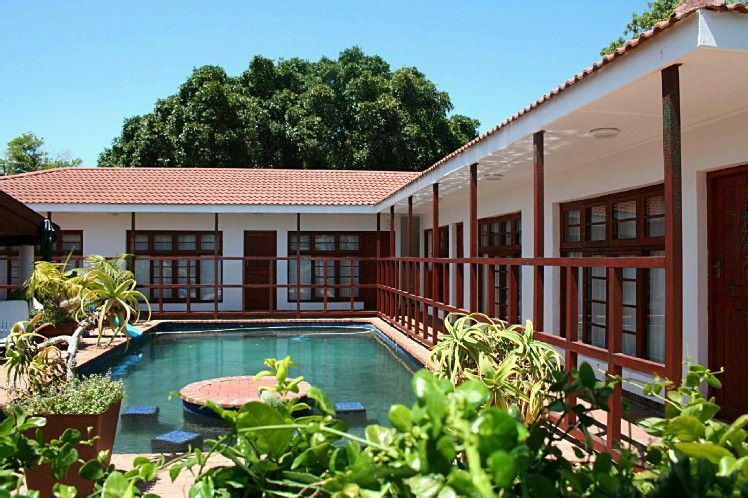 The place is exactly what every holiday-maker would want, clean and well-equipped for self-catering. My kids cried when they had to leave. We&apos;ve renamed it into a home-away-from-away! 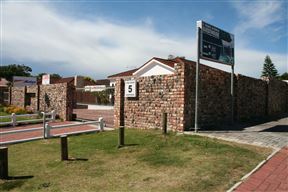 We enjoyed staying there and would recommend it to someone visiting PE. Our stay was really lovely. 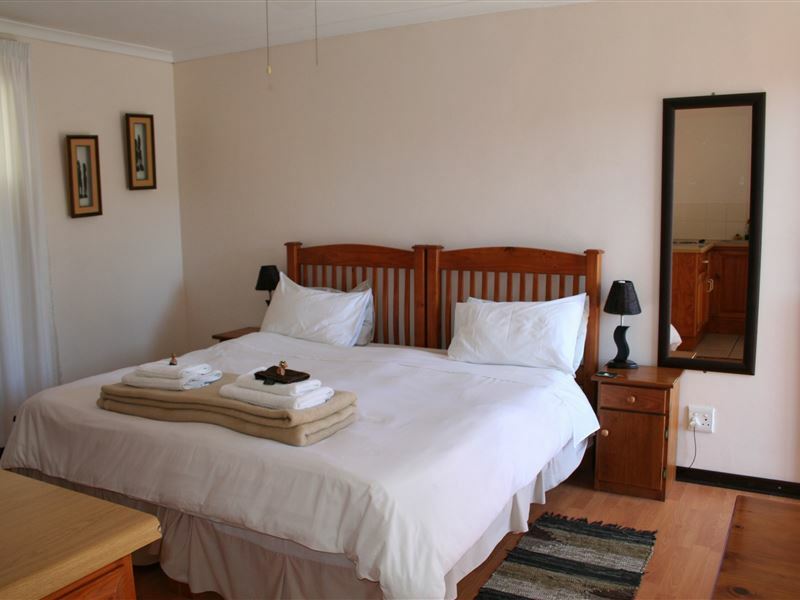 It is the second time we have visited and the rooms are comfortable and impeccably clean and well maintained. We will certainly stay there again in the future. My wife and I were pleasantly surprised by the high standard of this B&B. We hope to stay there again someday. 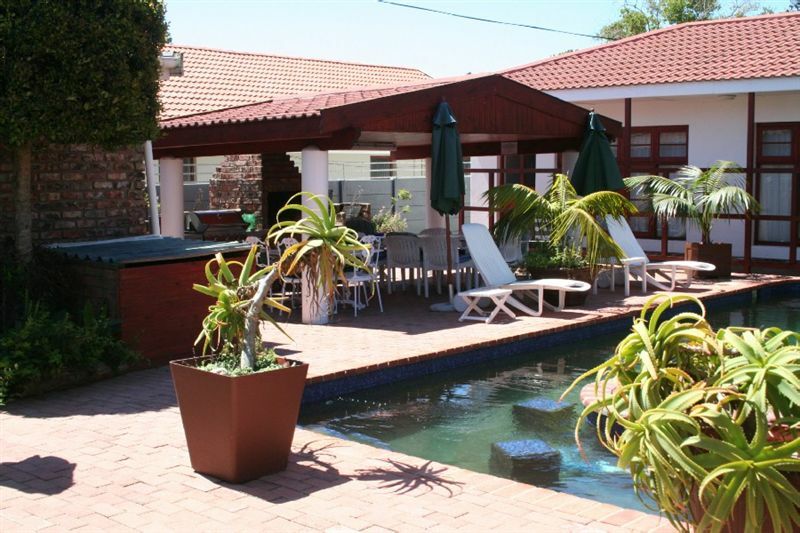 The rooms are clean and well equipped.The facilities like the pool and braai area was great.Would recommend anyone to stay there.Will definitely stay there the next time I&apos;m in Summerstrand. 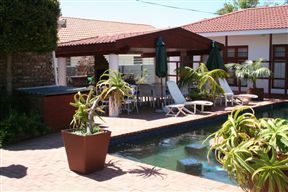 Accommodation was top class, and would really recommend it. We arrived at the 5 Third Avenue Guest House late in the evening (~21:30) after a flight from Johannesburg and left early in the morning (~8:00). The guest house location was great for us since it was close to airport (5 min) and we still didn&apos;t hear any airplanes noise. The room was clean and tidy with bathroom inside. 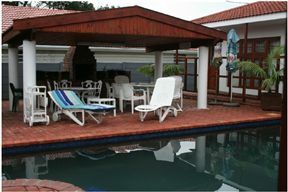 The owners were really nice and even drove us to the airport by their car in the morning without extra payment. Thank you, especially, for the transport to the airport, deadly on time. Staying at the place was very nice and I will make use of it if I have to go to PE again. The only negative comment is that the bathroom of my room was very small.